AtÂ the June board meeting for the Transbay Joint Powers Authority, staff presented updated estimatesÂ for the Downtown Extension of Caltrain tracks to Transbay terminal showing cost increases to $4B, up from $3B back in 2008. Â The Transbay Center is expected to open in November 2017 as a large and fancy bus station, with no firm plans to connect rail service to the downtown station. Connecting the tracks to the Financial district would be expected to add many more Caltrain riders, since there are more jobs near Transbay than the rest of the line combined. The Downtown Extension would logically also add substantially to High Speed Rail ridership, since passengers would have convenient access to more SF destinations and much better transit connections than at 4th and King. New items in the scope of the project based on reviews in the last few yearsÂ include the pedestrian connection to Embacadero Muni/BARTÂ and a tunnel stub to allow for a future phase tunnel, which would eliminate the need for an underpass to grade-separate 16th and 7th streets. Â About half of the cost estimate increase is increased estimates for future cost escalation, and increased contingency setasides. Â Right of way purchases haven’t been re-estimated yet; which would seem likely to add more cost increases. In this latest estimate, the project could be built by 2026 if funding is lined up by 2020. 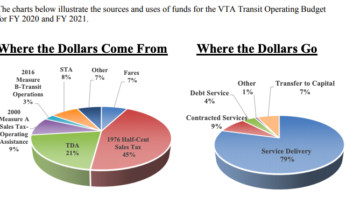 Â The largest share of funding in the latest estimate would come from passenger surcharges for the one-seat ride into downtown San Francisco – an extra $2 to $3 for Caltrain and $8 to $10 for High Speed Rail. Â Unfortunately, much of the funding that had been designated earlier for the Downtown Extension has been all used up in cost over-runs for building the station, for which costs nearly doubled since construction started in 2008. 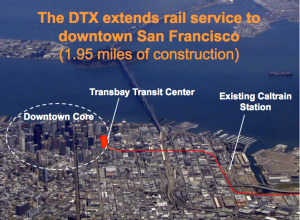 If you are interested in following this issue, seeing funding and final decisions lined up for the the Downtown ExtensionÂ sign up here and include Transbay as one of the Caltrain station areas you’re interested in adopting. I commute via bus to Transbay terminal and Caltrain to Palo Alto on a daily basis. I usually walk between the two, others use bus, Muni N/T, bike, skateboard, folding scooters, Uber, etc. It’s no big deal, maybe it deters a few people from using Caltrain, but many of those people still wouldn’t ride even if they could ride direct to TBT. It will never be convenient enough for them. TJPA and the relevant SF political parties has repeatedly proven themselves incapable of controlling costs. That $4B will be $5B by next year, and the costs will top $10B once it is decided “necessary” to provide a stop closer to AT&T Park and the Warriors new stadium. This is turning into a joke, and the whole thing will be quietly dropped once this tech bubble eventually bursts. Central Subway from 4th & King will get HSR tourist riders much closer to the major hotels than DTX will. Muni could provide direct bus shuttle service to TBT and the Financial District. 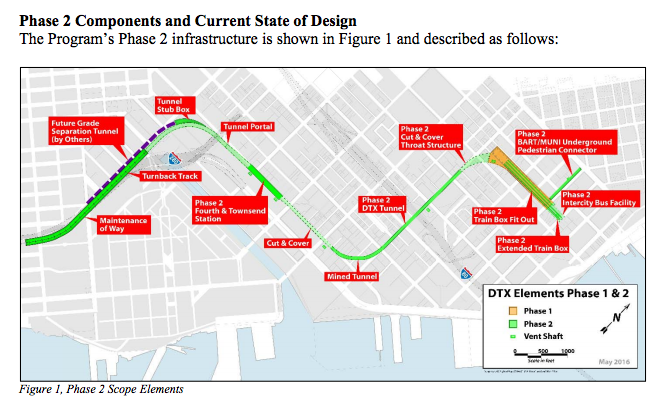 Or, the N line could be rerouted through shorter/cheaper tunnels to TBT and Embarcadero station. There are numerous worldwide examples of HSR stations being located away from the core business districts due simply to the costs of getting closer. Put the money elsewhere. Anyone feels like the phasing we got was reversed? Phase 1 should’ve been the DTX extension to the train box, while phase 2 should’ve been the new bus station with park on top. That way, after phase 1, we at least have new connectivity, whereas now, we’re gonna be back where we started at with just a bus terminal and some highway ramps. This whole thing is such a disgrace. Martin is right. I think they’ve been hoping that HSR will pay for it.